How satisfied are you with your current marketing plan? Would you like to learn 5 simple ways to turn your mediocre marketing into marketing that is amazing, astounding, exceptional, powerful and effective? In this post I am going to share 5 essential keys to a successful and reusable marketing plan. Once you have these basics down, you can use them over and over again. Let’s examine each of these in a little more detail so you can see exactly how to use them and how they all affect the overall outcome of your marketing campaign. Take the time to ask yourself some questions from the prospective of the customers/clients. What would it take to get your attention? What needs do you have that need to be met? What are the promises you want fulfilled? Once you know the answers to these questions you can start putting together a plan to meet these needs. Then take a look at what USP your competitors are using to help you develop your own USP. Your USP is what you are “promising” your customers/clients. This is what’s going to set you apart from your competition. Put together a headline that gets immediate attention. Share benefits of your products/services speaking from the customers’ perspective. Identify the specific needs met by your products/services. Make it easy to do business with you by offering guarantees. Share your specific sales proposition. Walk your customers/clients through how they should respond and act. Motivate with a call to action. What makes your products/services special? What will compel customers to buy? Your sales offer begins by appealing to their WANTS. After addressing their emotions, you must then appeal to their rational mind. If they don’t feel like they NEED your product, they won’t buy. In your sales offer you need to answer a question, solve a problem or feed an obsession. You need to provide them with all the information they need to make an informed and confident decision. Buyer’s remorse is one of the worst things that can happen and typically results in bad press for you and your business. Ignore market testing and push on with an inaccurate plan. Offer an incomplete case, or reasons, throughout the marketing plan. Fail to notice the needs of prospective customers/clients. Fail to diversify marketing options. Fail to get market opinions on offers. Keep a marketing journal and scribble down anything innovate you see. Keep encouraging your marketing department, or yourself, to try new things and dump the ones that aren’t working. Order from your own company under a different name and analyze the process of ordering, shipping, online store experience, customer service and the product itself. This will show you areas for improvement in the customer experience. Read every quality ad you can find and keep a file for future ideas to consider. When out in public, watch how consumers behave in different situations and how they consider their purchases. Step down a notch or two and work on the front lines with your sales and customer service staff. Continuously acknowledge your staff, vendors and customers. Everyone works and shops better when they feel appreciated. Always listen to feedback from employees and customers. Continuously test markets, ads, and marketing techniques. This is the only way to stay successful and know what’s working and, more importantly, what’s not. Offer more information in your marketing than anyone else. The more information you offer, the more products/services you’ll sell. A great marketing plan can only get better. Continue to fine tune and refine your marketing plan based on testing results and feedback. Be classy in your marketing. Make sure your marketing and advertising fits your company image, products/service and quality. Improve your best marketing areas and drop those that aren’t working. Focus on what you say, not just how you say it. The best marketing ideas often turn into the best marketing. Develop all your ads, campaigns and sales materials with an attention to compelling and factual information. By using these techniques, you can put your name out there to the world and become one of the top brands in your industry. Build your database with a contest. Do regular mailings with sales, discounts, or other incentives. Find other creative ways to keep your current customers coming back for more. Today we’ll look at how the kings of industry wine, dine and otherwise cajole prospects. Most successful professionals use a series of information based ads that build emotion and include a call to action. These are much more effective than standard company branding advertisements. The same principles that go into putting together a high impact (and, often, high priced) ad campaign can be adapted to fit your needs with similar results. In this blog edition, we’ll look at some of the elements utilized by larger companies to propel their marketing success. Develop a short report you’ll automatically send to prospects when they contact you. This should include a short description of your business and what you specialize in. Don’t forget to include case studies, samples or other proof of your success. Consider newsletters as a way of educating and informing customers about your industry and the services you offer. Offer a free seminar, webinar or other lecture to build awareness of your business. Make sure you include information pertinent to your target market. If you utilize outside speakers, find those who are respected and known in the industry. Offer clinics for the general public to attend to discuss what their needs. Make these clinics free and approachable. Approach local newspaper and offer to write a weekly column focused on your area of expertise. Don’t ask for money, just a byline and bio. Develop a weekend or other destination seminar for customers/clients. Not only does this give you an action-packed weekend with the most important people, it gives them a tax-deductible business adventure. Get involved in your community: Volunteer or donate to local civic clubs, causes or events. Join your local Chamber of Commerce and attend the networking events and other activities throughout the year. Volunteer to make a presentation for their members. Join a local, state or regional organization that offers networking opportunities to its members. So, there are 30 great ways to market to other professional and businesses. Advertising should never be your only method of marketing There are a myriad of ways to get your name out there in a way that feels personal to potential customers/clients. Last week we looked at the first three essentials. Today, we examine the last two. Keep a marketing journal and scribble down anything innovative you see. Keep encouraging your marketing department, as well as yourself, to try new things and dump the ones that aren’t working. Order from your own company under a different name and analyze the process of ordering, shipping, online store navigation, customer service and the product itself. This will show you where there are areas for improvement in the customer experience. Improve your best marketing ideas. By using these techniques you can put your name out there to the world and become one of the top brands in your industry. It is so simple! So, why aren’t you starting today? 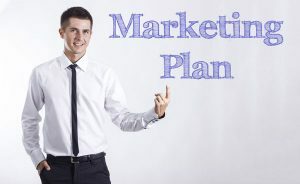 I can help you put together a great marketing plan that will get you results. I utilize the E-Learning Marketing System to help businesses just like yours increase their leads, their revenue and their profit margin. To see what this system can do for you take this guided tour. 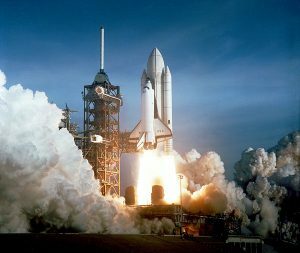 How would you like to ensure a successful and reusable marketing campaign launch? In our next two posts, we’re going to examine 5 essential keys to make that possible. Once you have these basics down, you can use them over and over again. Let’s take a look at each one these so you can see exactly how they fit together. You’ll also discover how they affect the overall outcome of your marketing campaign. Take the time to ask yourself some questions from the prospective of the customers/clients. If you were your prospective client, what would it take to get your attention? What needs do you have that must be met? What are the promises you want fulfilled? Once you know the answers to these questions you can start putting together a plan to meet these needs. Your USP is what you are “promising” your customers/clients. It would be extremely helpful to take a look at what USP your competitors are using. This will be crucial to help you develop your own USP which will clearly demonstrate your market dominating position and help your prospects to see how you differ from your competitors. Share benefits of your products/services (speaking from the customers’ perspective). Motivate them with a clear call to action. In other words, you need to put together a pitch that communicates how your products/services are special and compels your customers to buy. If they don’t feel like they NEED your product, they won’t buy. You need to answer a question, solve a problem or feed an obsession. You need to provide them with all the information they need to make an informed and confident decision. Buyer’s remorse is one of the worst things that can happen. Offer an incomplete case, or reasons, throughout their marketing plan. Fail to notice the needs of their prospective customers/clients. Fail to diversify their marketing options. Fail to get market opinions on their offers. This article will be continued in the next blog post. The E-Learning Marketing System I use with my clients provides information, examples – even a “paint-by-number” process to help business owners increase their revenue. If you’re not satisfied with the number of leads your current marketing is producing or you desire to double, or even triple your revenue in your near future, take a guided tour of the system and see the difference it can make for your business. Don’t you hate it when your prospects don’t seem to understand everything your business offers them? You believe in your business! You know you offer an exceptional product/service, that what you offer provides extraordinary value to your customer/clients and that your relationship with them is far better than anything they could expect from your competitors. Still, it amazes and saddens you when you discover your prospects don’t view you any different than your competitors – in fact they know very little about you and what you offer. What you are experiencing is the disconnect between your business’ inside reality and its outward perception. Your inside reality encompasses everything that is true about your business – those components which, combined, make your business great. The outside perception refers to how your prospects perceive your company. Too often, there is a marked difference between the two. For instance, when you went into business you were determined to pursue excellence in every aspect in order to set yourself apart from your competitors. You developed your skills, hired the best candidates, created a customer service program that is second to none and honed your expertise so you would be the “go-to-person” in your field. All of that is part of your inside reality. In addition, your systems, your operational procedures, your continued commitment to excellence, your passion for what you do and the way you conduct your daily business all add to that inside reality. If you have never done so, take a half hour or so one day soon and capture what you believe to be your inside reality. What makes you different? What makes you stand head and shoulders above your competition? If you ever hope to communicate this inside reality to your prospects, you must clearly see it yourself first. Hopefully, your loyal customer/clients see and understand this inside reality. It is why they are loyal customers. Once you have completed the exercise above and have clearly delineated your inside reality, conduct a quick survey with your existing customers to see if they see it as well. Simply ask them why they do business with you. Ideally, the reasons they provide will correlate with the inside reality you believe defines your business. Now let’s talk a bit about your outside perception. This outside perception is developed through the interactions your prospects and customer/clients experience with your business. Especially for your prospects, most of these interactions will occur through your marketing or through the referrals (good or bad) made by your current customer/client base. If your inside reality is indeed true (and it focuses on excellence), then you can expect the majority of your referrals from existing customers to be positive. That will help immensely in helping to create an outside perception which aligns with your inside reality. Most of your prospects, however, will develop their perception of your business through your marketing. And here is where many small business owners fail to create the outward perception they desire. They market their business just like their competitors. They use the same platitudes in their advertising, make the same claims and offer the same discounts. When a prospect is seeking to buy whatever it is you offer, they going to compare your ad to your competitors – and if they don’t see obvious differences – they will choose to do business with the one who offers the lowest price or is in the most convenient location. How do you create such a marketing strategy? Download the free presentation, “The 3 Biggest Lead Generation Mistakes Small Businesses Make…And How to Overcome Them All” to gain a clearer understanding how to market your business in such a way that enables your prospect’s outward perception of your business to match your inner reality. Have you ever bought something you didn’t need – in fact, you really didn’t even want – because of a high-pressure sales person and their pitch? Many of us have. However, I would venture a guess that you never engaged in another transaction with that person or the business they represented. That marketing approach may have gained a sale but it also lost a customer. If we want our marketing to truly be effective, we must approach the process from the customer or client’s point of view rather than our own. Instead of telling them what they need, we must be listening to them and discovering what they really desire. To do this, we need to get in to the head of our prospects. Think like they do. See our products/services from their vantage point. One way to accomplish this is to realize our prospects often have a conversation going on in their minds which centers on two issues. The first is: The problem the prospect has but doesn’t want. The second: The solution the prospect wants but doesn’t have. If we can understand that conversation in the context of our product or services, we can then effectively market those products and services to that prospect. Ideally, your product or service will provide a solution to a problem your prospect is experiencing. Now, instead of pitching your product or service based on why you think they should buy, you are able to approach them with the solution they want but don’t have. Instead of coming to them as a sales person, you come as a savior. Take the time to think of the hot button issues and/or problem your potential customers are facing then figure out how you can solve that issue or problem. Then highlight that issue/problem, along with the solution you offer, in all your marketing mediums using the Marketing Equation. If you’re not familiar with the Marketing Equation, email me at chris@chris-mahan.com and I’ll be glad to send you a more detailed explanation. Advertising – Make it Pop! Showcase Benefits: Next, you showcase the benefits of your products and services and, more importantly, show how they will solve or prevent a problem. Potential customers need to know what’s in it for them. Include useful, factual and clear information to show precisely what the benefits are and how they are going to help them. Persuade: You need to add compelling reasons for your potential customers to purchase your products/services. Use a hard sell approach and create scarcity. This will help motivate your potential customers to feel like they have to act now. Which leads to the last component. Good advertisements include all of these components and are not complete without any of them. You can sit down and think through any one of these components, then figure out how to best place them together for the most effectiveness. Chris Mahan Consulting can help you with this too. Take a FREE guided tour of my E-Learning marketing System to learn how to put together great advertisements from some of the best in the business. Chris Mahan is a marketing strategist and business development specialist. Using a five step profit formula, he can help any business discover low/no cost ways to immediately generate more revenue and increase profits. You can take advantage of his 10K Challenge, where he guarantees to find at least 10K in potential income for your business in 45 minutes or less. Visit chris-mahan.com to learn more.